Jedi luke 65 back, green saber with snap cape visable in box. 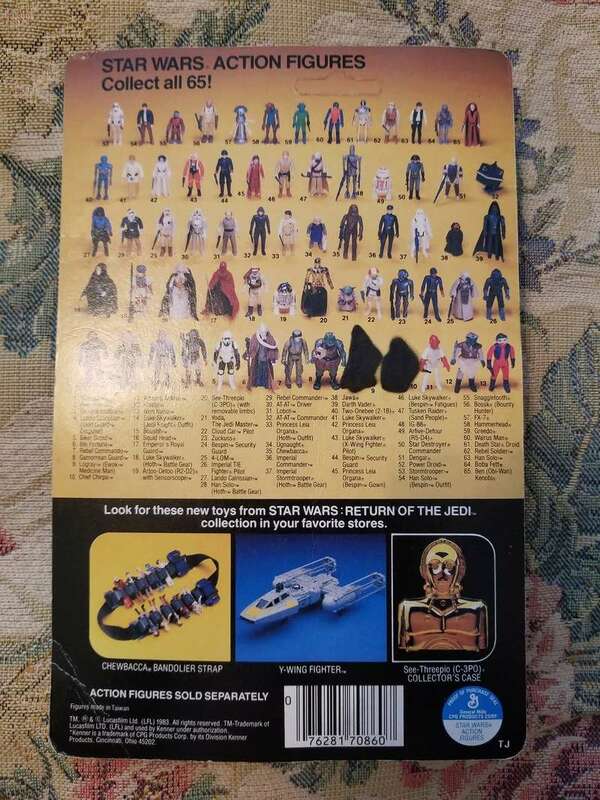 I can't find any example of a snap cape luke having sold that was still in the package. It has the green saber with two figures blacked out on the back. Made in taiwan. I was gonna sell it on eBay but have no clue what to ask for it. Any help would be appreciated. I moved this to vintage chat section. It appears to be a price request, I am not a carded collector so cant help there. In fairness, if you have one, I would expect it to fetch a good bit of money. How much depends on the buyer's need (are they a focus collector of Luke Jedis, or are they an AFA U-Grade collector that needs a snap cape, etc.). Of course, if it is a MOC, then condition of the MOC will also play a part. I bought mine nearly 10 Year's ago, so prices have rocketed; I could see it now getting at least £300-£400, maybe much more, if there is a bidding war. I was gob-smacked to see a loose ones sell for up to £200, unless you know for definite what snap cape went with which factory, then you could be buying a "kit-bashed" figure. At least with a genuine MOC - you know all accessories are legit. Looks like you have a nice find. Can you show us a photo - I expect it to have a moulded face too. The 1st edition Luke has the snap cape in a separate baggie, if you can see the actual snap, then I expect it to be loose behind Luke, i.e. the second edtion for the TJ 65-A release. P.S. There are 3 factories which made the Kenner Release Luke Jedi. Each of them started with 65A Back, thus all three actually initially released their Luke with a Snap Cape. I have had it 25 years so I don't think the authenticity is in question. The card is in pretty good shape. One crease, bubble is a bit yellow etc. The button for the cape is visible through the bubble. I would post pics here but I don't really wanna sign up for a image hosting site. Tyner if you Email me the pics I'll post them into your thread . 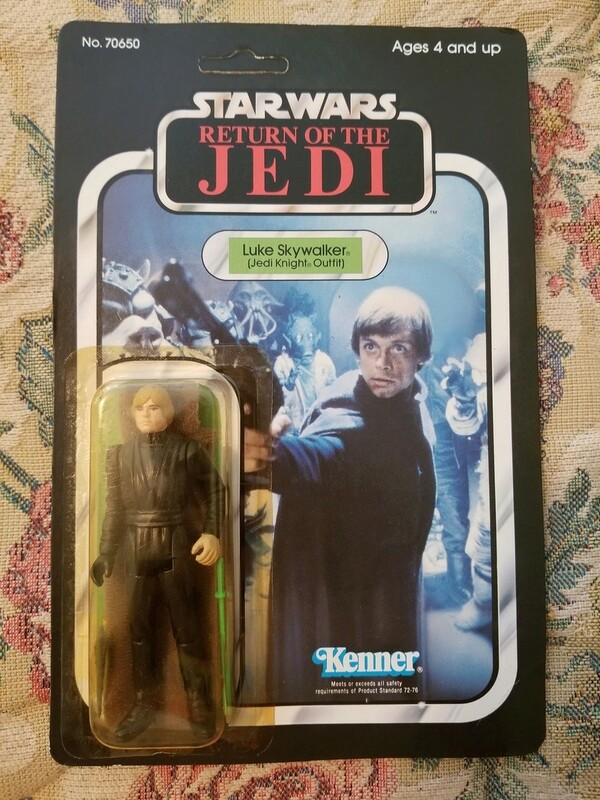 If no one else objects, I would like to buy this version for the Luke Jedi Archive. It appears you have the third edition. Please send me a PM if you are still looking to sell. Tig has rules regarding sales in the classifieds section. This was not listed as an item for sale on the forum but rather was a price request. Any private conversations between the op and another party is just that, private. Having said that we do not desire for this type of activity to open a loop hole around our rules for selling, so as far as the site is concerned this was a price request and that has been completed. 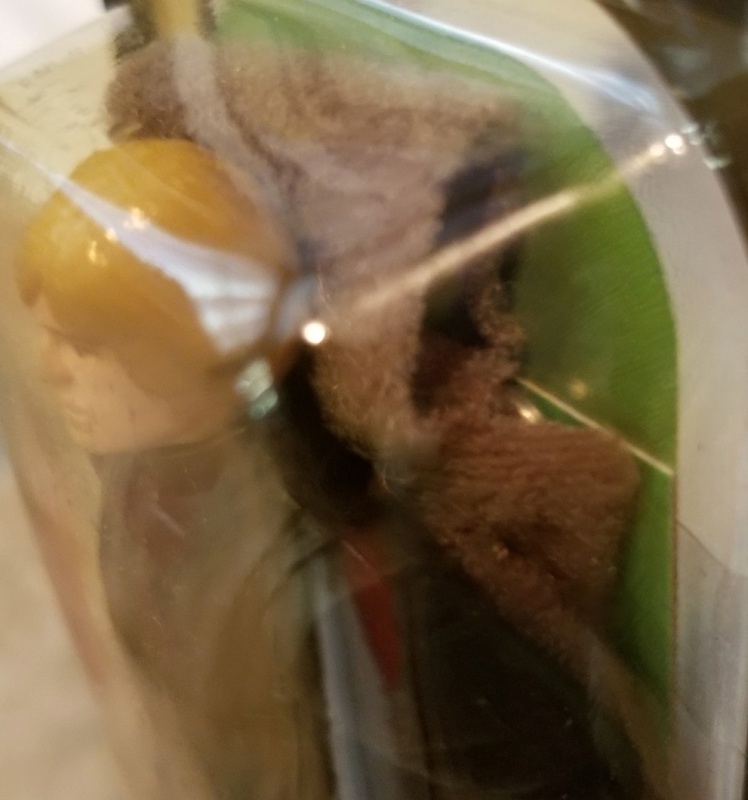 Subject: Re: Jedi luke 65 back, green saber with snap cape visable in box.